The Ear Group prides itself on taking care of our Veterans and Active Military Personnel. We provide the most advanced hearing healthcare services to the men and women of the armed forces through the Veteran's Administration - TriWest Veteran's Choice Program. Veteran's choosing to receive their hearing healthcare at our office, receive one on one care and convenient appointment times which are available 7 days per week including evenings, weekends, and holidays. Through the TriWest Veteran's Choice Program, Veteran's have no out of pocket costs at The Ear Group, receive the best care and latest in hearing aid technology. For further information regarding the TriWest Veteran's Choice Program, click on the TriWest logo or contact us anytime. We thank you for protecting our great country and freedom and look forward to serving you! 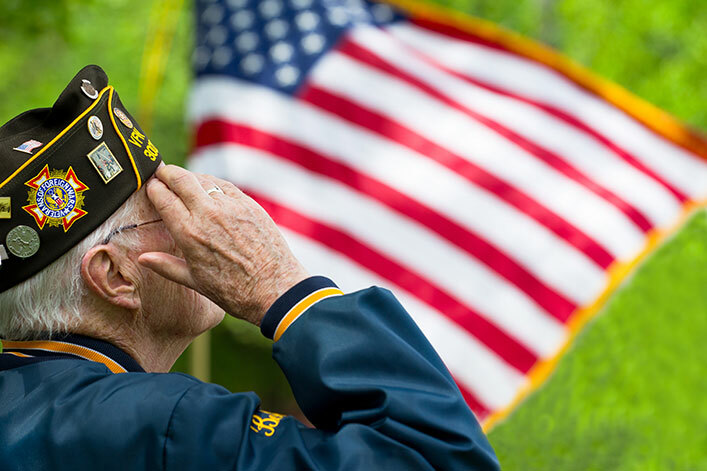 The Ear Group is honored to be a provider of Veteran Evaluation Services (VES®) who honor and serve America’s Veterans and Active-Duty Claimants. VES® is a Veteran owned service company of which key members of their team across the nation are Veterans who proudly served our country. The Ear Group and VES® understand that our real customers are the Veterans who sacrificed for their country and deserve our utmost respect, compassion and care. We chose to provide services with VES® as they have a 98% Veteran satisfaction rating based on data received from anonymous survey cards. This is the highest Veteran approval rating in the industry. Additionally, VES’® full time Veterans Liaison Team, lead by a disabled Veteran of two wars, personally responds to all Veteran feedback requests and phone calls and communicates regularly with Veteran’s Service Organizations on both the state and federal level. The Ear Group proudly supports Starkey Hearing Technologies, which is the only American owned hearing aid manufacturer world wide.